Harness the power of the web to support your marketing with an Sports Management campaign. Sports Management is a leader in developing results-driven online advertising programs. From traditional ad positions to innovative flexible campaigns, we can create a customised program specifically suited to your needs, helping to creating brand awareness and generate leads. We can measure and analyse your web marketing results and work with you to fine tune and refresh your campaign to ensure it's always working hard for you. 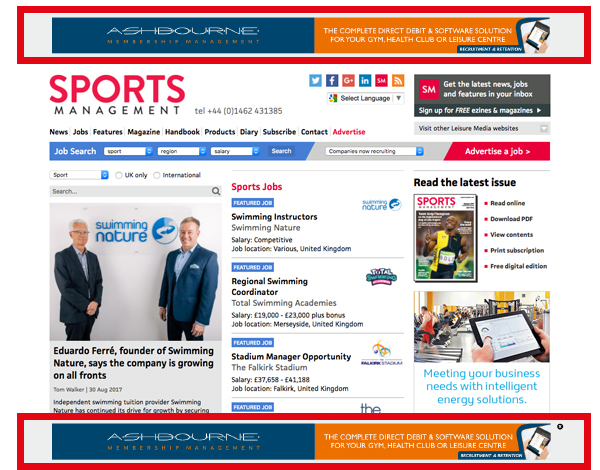 This large web advert uses Flash to dominate the home page of the Sports Management website. The home page square is a great way of developing brand awareness and driving responses. 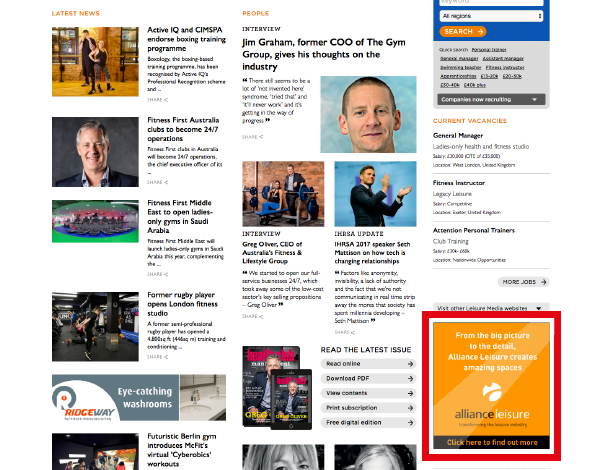 This powerful promotion sits above the masthead of the website, making it the most visible promotion on every page. The Leaderboard is the most effective way to develop brand awareness and drive responses. The pop-up element at the bottom of the page greatly increases its presence on the website. 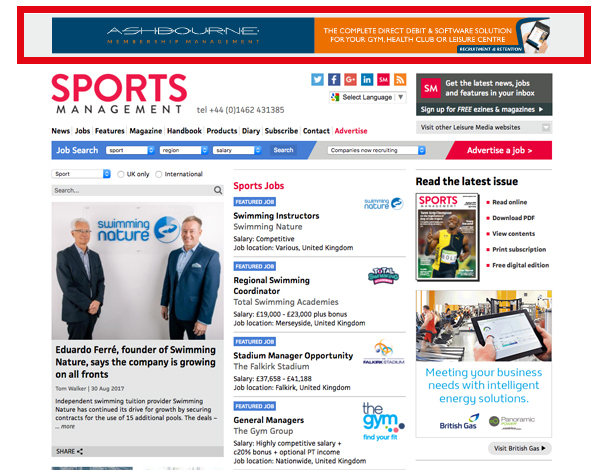 A traditional banner advertisement which rotates around the Sports Management website. This advertisement has room for photography and links directly to your website. 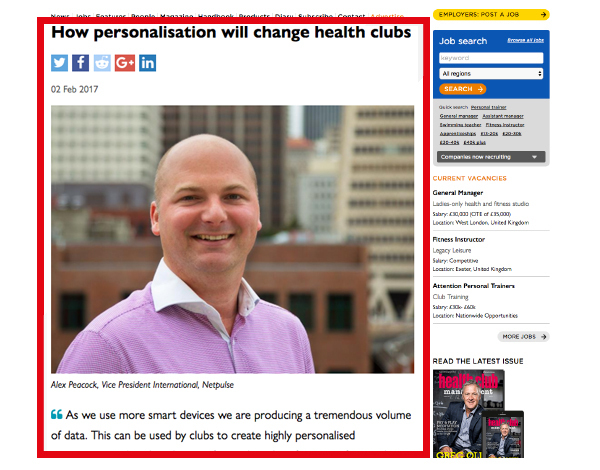 The Advertorial allows for 200-250 words, with a colour image to promote your product (700x560px) together with a headshot of your key sales person and a short quote from them. 200-250 words, 700x560px image, 700x560px headshot. 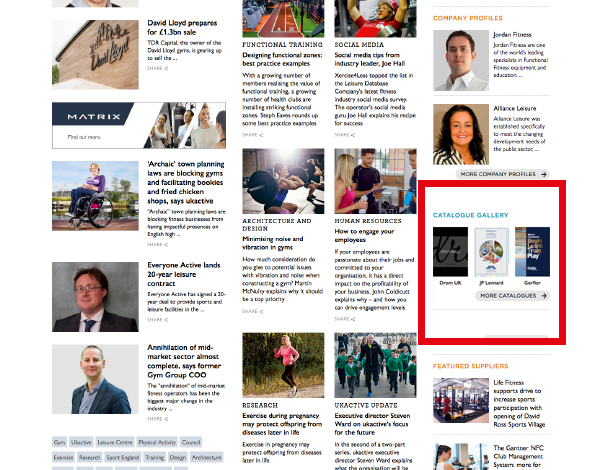 A directory box on the Sports Management homepage will link directly to your website to enable buyers to find you quickly and easily. Your directory will be listed under a subject heading to help navigation. Make it easy for buyers to find out about your products and services. 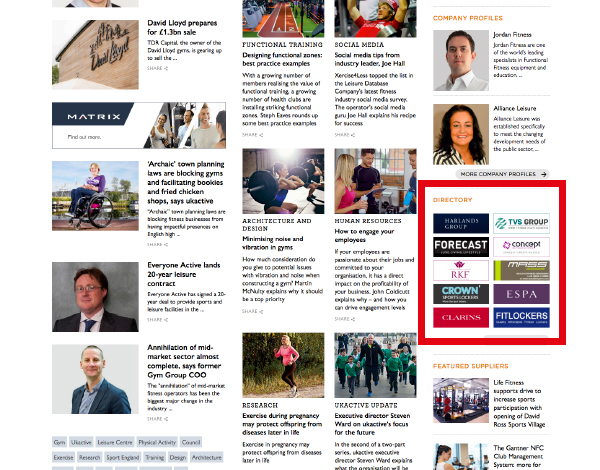 A downloadable PDF of your sales literature can be seen on the Homepage and News pages making it easily accessible to buyers. Advertising rates are for up to 32 pages. Please ask for a quote for more than this. Catalogue cover image: 170x240 pixels, linking through to full digital turning pages catalogue and PDF download. You get a full profile of your company, along with an advertisement for one year. 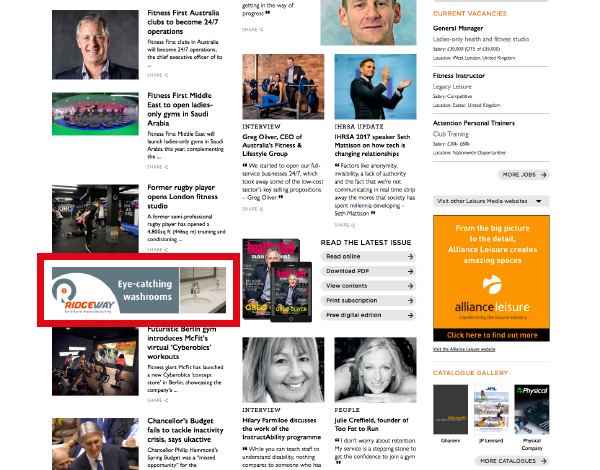 Company profiles appear on all relevant Leisure Media websites to keep your company at the forefront of the industry. Company profile 200 words, image size 500 pixels wide (max 2 images). Poster ad 468 x 900 pixels. 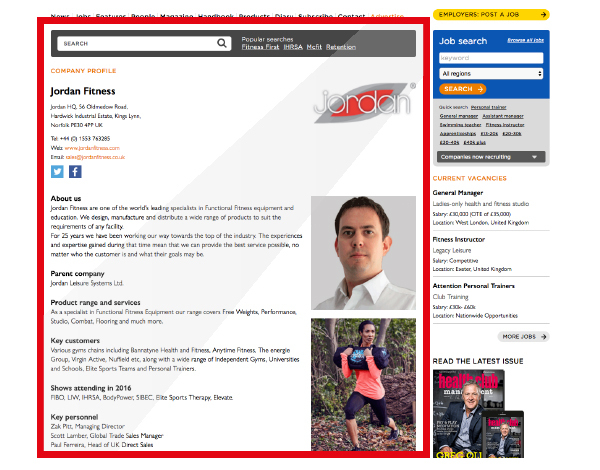 Share your insight and knowledge on key topics within the fitness industry. A hi-res headshot, a short quote that sums up the content, and a description about your business. The actual comment/opinion can be as long/ short as you’d like to make it. A click to play video window can be added to any of your digital turning pages material online to turn your advertisement into a multi-media presentation and bring the pages alive - an ideal way to highlight a new product launch. Your video clip is overlaid on to your advertisement in the digital turning pages edition of the magazine.